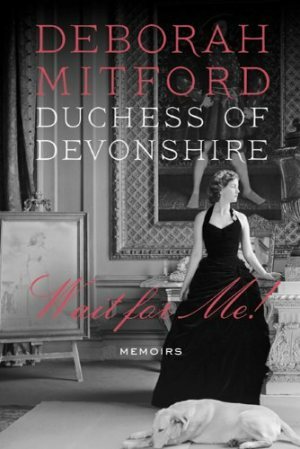 My non-fiction theme continues with Wait for Me by the Duchess of Devonshire, Deborah Mitford. I had previously read the excellent biography The Sisters by Mary S. Lovell and was curious to know more about this notable family. In Wait for Me, the now Dowager Duchess, youngest of the Mitfords tells her story of growing up with five controversial sisters and moves through to her married life as a very “hands on” duchess in charge of running several large estates, including the famous Chatsworth. Sometimes down to earth, sometimes out of touch but always clear about her point of view she is a fascinating character from a bygone era who continues to be active today. Her social circle is large and includes prominent artists, writers, political figures and of course, royalty. Her recollections about these various relationships and her approach to preserving the family’s numerous properties for the public to enjoy made for an interesting read. Next up might be Nancy Mitford’s The Pursuit of Love.